For our upcoming December auction we have acquired pieces from the estate of Rev. John J. Mericantante. 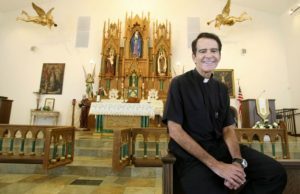 Father John Mericantante, who was recently retired from Saint Mary Catholic Church in Pahokee, Florida has gone on missions around the world allowing for his ecelectic collection to grow and expand. Known for his charity, random acts of kindness, and his magnificent Boston accent, Father John has has helped his community in an array of ways. 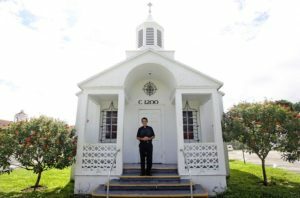 From miraculously gaining funds to build a magnificent 3.5 million dollar, 9,000 square foot Spanish mission-style church, to starting a medical clinic he brought to Pahokee, which started in the parish hall kitchen before moving to the center of town. His care for his community extends further, helping construct new dental clinic, a youth center, soccer fields as well as a Catholic Charities outreach center he raised hundreds of thousands to build. BORN: November 20th. 1948 in Brookline Massachusetts. EDUCATED: At St. Mary Catholic Grammar School with the Sisters of St. Joseph. ORDAINED: a priest at St. Eulalia Catholic Church, Winchester, MA. 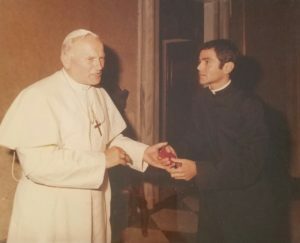 Humberto Cardinal Medeiros on June 5th, 1975. Said first Mass at St. Mary Catholic Church, Winchester, MA on June 6th 1975. Volunteered as a Missionary to Chile on Boston’s Lend-Lease Program. Returned to Boston and assigned as Associate to St. Anthony’s, Revere, Ma. Volunteered again to Chile as Pastor to San Sebastian and its vast territory of 300 square miles of Chapels and three other Parishes of Las Cruces, El Tabo, and Lo Abrca (2 years). Returned to Boston and assigned to St. Charles, Woburn Massachusetts. 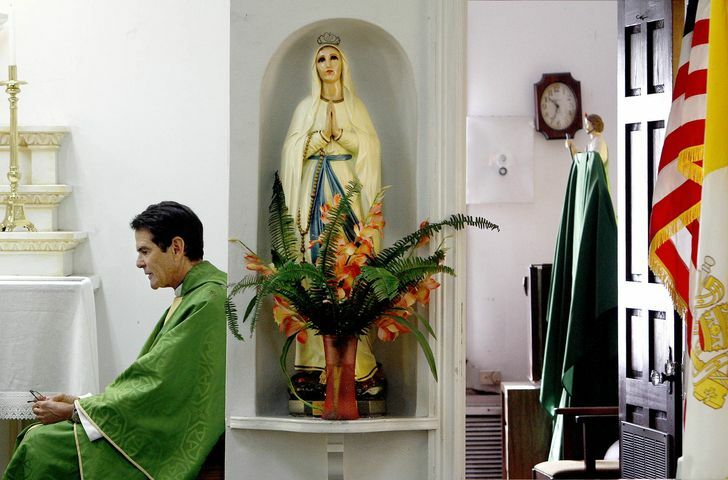 Transferred to Miami Archdiocese then to Palm Beach Diocese. 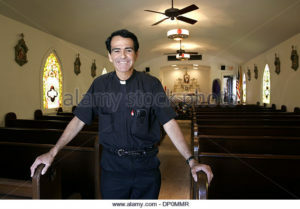 Assigned as administrator then pastor to St. Mary Pahokee (8 years). 1996 Distinguished Layman Award (Florida Medical Association at the 122nd meeting in Orlando, Florida. 1996 The Andrew F. O’Connell Award (Catholic Charities of Palm Beach, Elder Affairs). 1994 Citizen of the Year award, Pahokee, Florida. Rev. 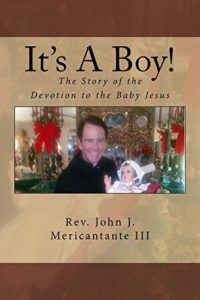 John J. Mericantante has also gone on to write an extensive autobiography titled: “The Dangling Urinal, An Unconventional Catholic Priesthood” as well as “It’s A Boy! : The Story of the Devotion to the Baby Jesus”.